Thanks. We are as ready as we can be. We thought we we ready for Hugo too. But when the first twister (of 3) came through around midnight (and BTW, although we had never before experienced the sound, we knew exactly what it was) the 60 ft tall southern pine trees on my lot were being snapped and dropped to the ground which shook the house every time. The "pucker factor" was at warp 15. In all 30+ of the 90 trees on my 1 acre were down by daybreak. All twisted/snapped off at 10 - 20 feet from the ground lying at different directions indicating straight line winds were not the cause. Somehow our house was not hit although there were some close calls. Power had been killed earlier in the day which was a good move as it kept us from seeing the destruction all night, and kept everyone safe from power lines which were down everywhere. Over the years I have removed all but 10 of the pines, planting dogwoods, yoshino cherries, hemlocks, myrtles, and lots of azaleas turning my property into a haven for birds and other wildlife. We are hopeful. Looks like tornado winds esp in the second video.. Agreed, hoping for a hard right turn and safety to all. 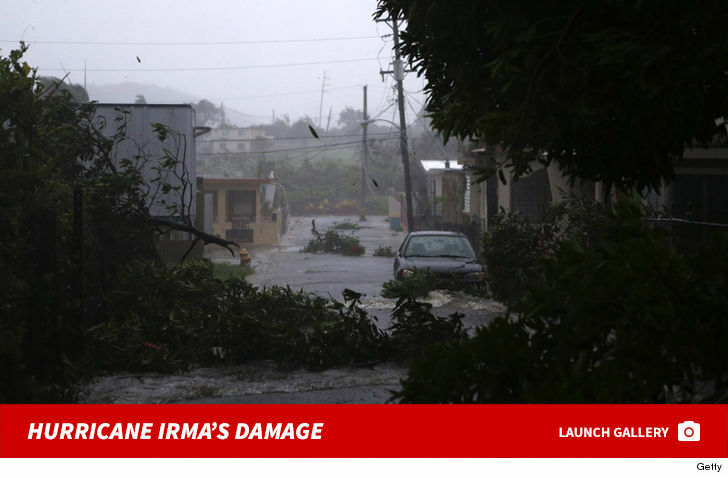 it's core had 180+ MPH winds equiv to a F3/4 tornado! Reports are saying just to cover their ars is going straight up the middle of the state . Might swing east still large enough to cover the whole state . If she weakens ( hopeful ) by Friday maybe many lives will be saved . South Florida is going to get hammered, everyone else must be prepared. "Here in Florida, the Florida Keys tell the story of rising seas better than most places, with 90 percent of the land mass at five feet above sea level or less." If thats so, is this the end of a large percentage of structures on the keys? Unless they have proper foundations, yes, many many structures will be gone. All the models agree until it gets to the bottom of Florida, so that is pretty much a certainty, beyond that, there still could be some shift East, if folks get lucky. edit: The GFS, which is what NOAA typically relies on heavily for near term tracking, shows it going straight North-Northwest up the center of Florida. The Euro has it going up the east coast. So, it's just a matter of how much of Florida gets destroyed. Keys, foundations, not sure how many proper foundations I remember seeing there. I hope everyone gets off the keys. so far, this is a worst case south Florida scenario. 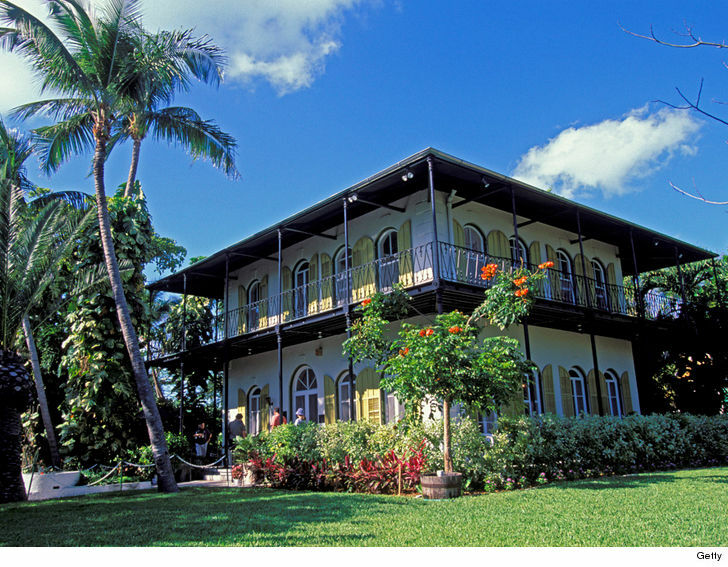 The legendary Ernest Hemingway home appears doomed ... an almost certain casualty of Hurricane Irma ... this according to local law enforcement. The Key West home -- made of wood and built in the 1850's -- sits about 16 feet above sea level, which is the highest point on the island. Law enforcement tells us they're expecting at least 15 feet of water to flood the area ... so the outcome is bleak. The Hemingway Home's manager, 72-year-old Jacqui Sands, has already said she's staying put to maintain the home and its 55 or so roaming cats. Jacqui and some staff are boarding up and bunkering down. If Jacqui or her staff are injured, cops say they'll be left to fend for themselves, because hospitals, ERs, rescue crews and other government assistance will not be available.